holy Gospel according to _____. 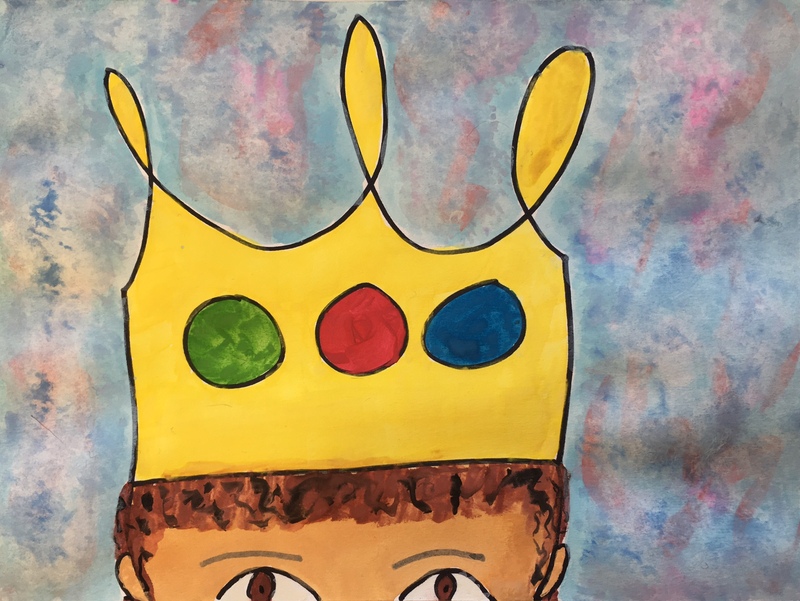 Inspiration for Three Kings Watercolor Comes from Pinterest. We learn about the life of King David through scripture, storytelling and children’s literature. This segment will take two weeks. The children can make an outline in black by a Sharpie then fill it in with watercolors in the style of the samples here. Or, they can use watercolors “free-style” without using a Sharpie to outline. The theme is “crowns and kings” but it is also about things that have three of something, like peaks on the crowns. We need to remember not simply the three kings of Epiphany, but also the “threes” represented in the Blessed Trinity and the Holy Family. Review is essential for learning and remembering. 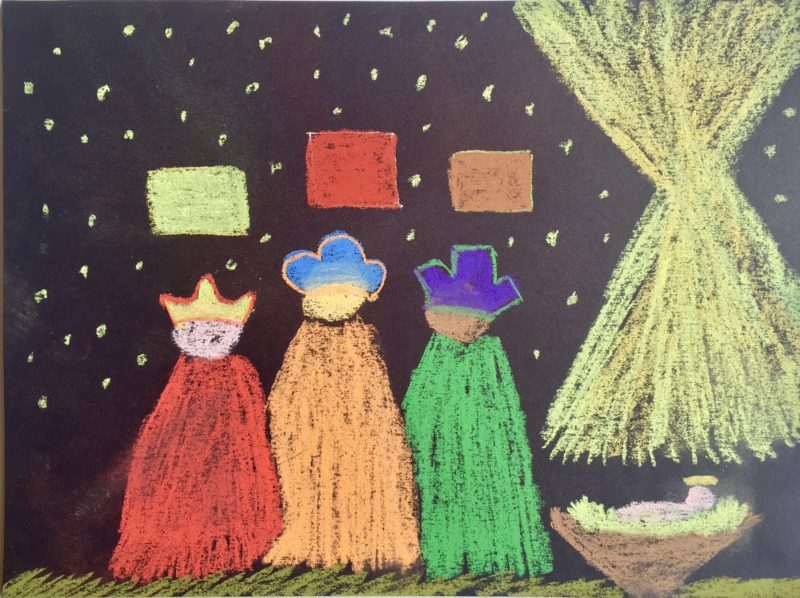 If short on time, the children in our class can do this drawing of the Three Kings using pastels on dark construction paper. This took me less than 20 minutes and the students will have fun doing it.